I've had bad experiences with other roofers. What makes you different? For over 20 years, we have set the standard with the quality of our work, professionalism and on-time performance. Clients regularly recommend us to their friends and neighbors. At times, we have worked for multiple generations of the same family we often work on multiple houses in the same neighborhood. Why are my cedar shakes curling and rotting? Curling shingles are not harmful, but there are a few reasons shingles curl. Improper nail placement, gun nailing rather than hand nailing, bad ventilation and poor quality wood are the top reasons, making it all the more important on choosing the best contractor for your roof installation and maintenance. Rotting can be caused by a variety of environmental factors, including ultraviolet (UV) ray damage, moisture infiltration, mildew, and the growth of other destructive organisms. Is your treatment product available to the public? No. Cedar-Life's proprietary solution contains special concentrates which we directly control and manufacture in small batches exclusively for our customers. What makes Cedar-Life products different from other options? Our exclusive product is part polymer and highly refined paraffin oil. The key ingredient in Cedar-Life products is a high-solids penetrative coating for extending the service life of the cedar. It restores the moisture content, helps it to stay flexible, and is designed to enhance its structural integrity and appearance. Our product also minimizes grain cracking, surface erosion, water absorbency and surface attack from mildew and algae, as well as blocking sunlight (UV rays) to protect natural colors for many years. Additionally, it provides a water barrier to prevent surface erosion and water leaching of natural wood preservatives into the wood pores and it is not a surface film. Our product also complies with all known state and federal Volatile Organic Compound (VOC) regulations. How long does the Cedar-Life treatment last? Each application lasts from 5 – 7 years depending on your roof's sun, shade and freezing temperature exposure. Are your products recommended by the Cedar Shake & Shingle Bureau? The CSSB does not make product recommendations. However, scientists from Texas A&M University and the U.S. Forestry Service have confirmed that our company's formula provides the most complete, long-lasting protection available. Why can't my house painter clean my cedar roof or siding? Cedar treatments require a specialist who is knowledgeable and trained in properly cleaning and treating cedar. Carelessly power washing roof shingles with high pressure can do more harm than good. Roofs are exposed to the elements and all require some maintenance in addition to the cleaning. Depending on the age of the roof and the frequency of maintenance there will be shingles that need to be secured or replaced. Cedar roofs need to be inspected by a roofing company that has experience with cedar roofing. Not only do we wash and preserve your roof, we also are able to evaluate any damage that exists or potential problems that may arise. Once it's installed, how soon should I have my cedar treated? 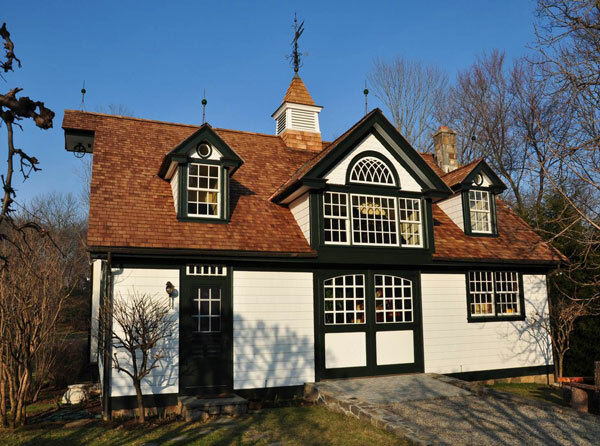 Because cedar shingles can start to dry, curl and crack after only 6 months to 1 year, we recommend having an initial treatment completed approximately one year after installation. How long will my cedar roof last if left untreated? An untreated cedar roof may need complete replacement after 10 – 15 years, while treating your roof every 5 – 7 years can extend roof life by 35 to 50 years.